Be the first to light your Menorah! Easy to learn! Fast and fun gameplay! 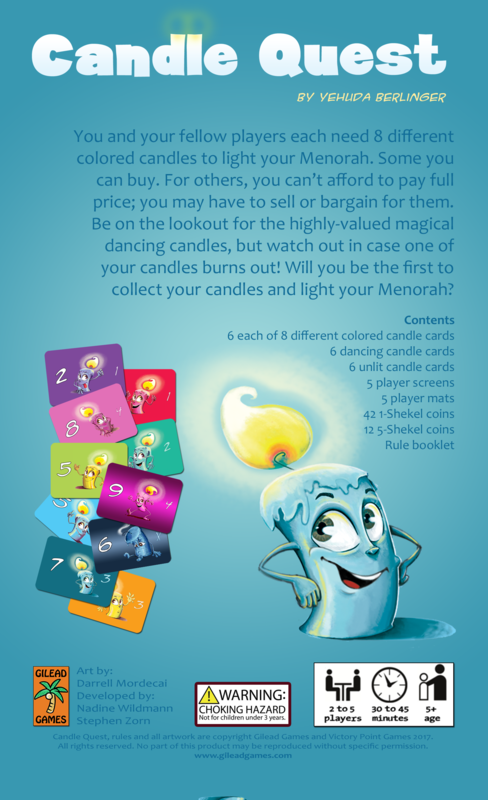 Candle Quest is a fast-paced auction and set collection game. 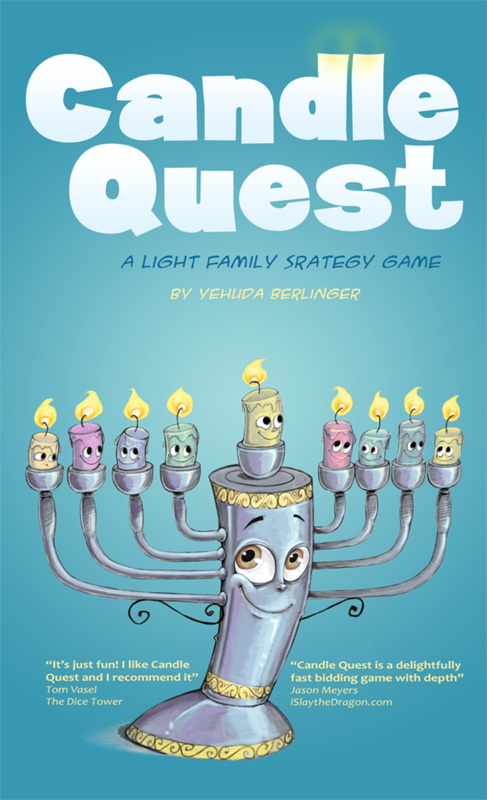 "Candle Quest is a delightfully fast, light, and simple bidding game perfect for introducing children to the genre, as well as new family and casual gamers, while still offering some depth for experienced players to enjoy. 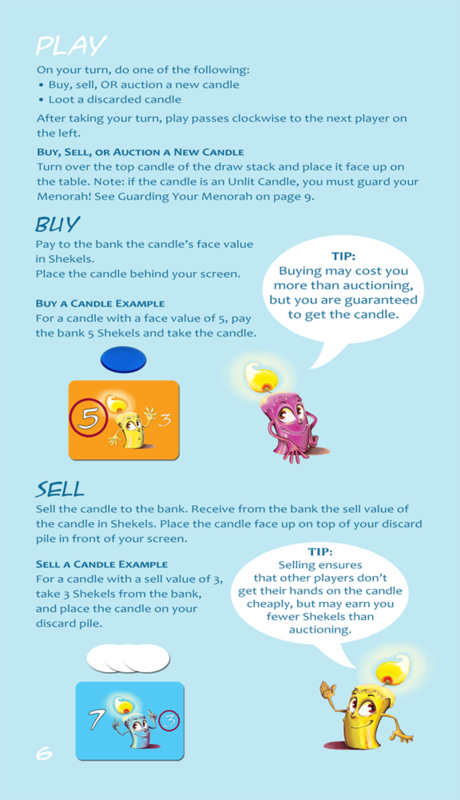 Cutesy art aside, Candle Quest is not just for kids. It also works as a sophisticated filler – primarily because it’s also a game of hidden information. The illustrations are cute and imaginative. When my 6-year old daughter first spied the animated menorah on the box art, she immediately beamed, ‘I want to play the Beauty and the Beast game.'" 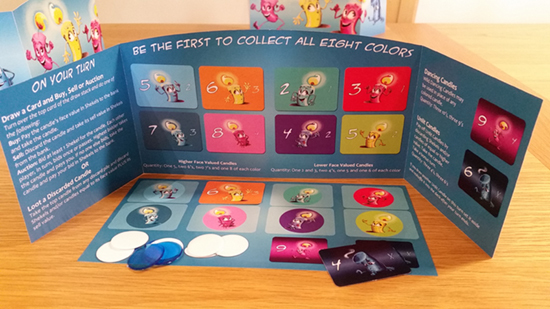 "For us, Candle Quest really hit the sweet spot of a fun, easy to understand game which nonetheless rewarded careful planning." © Gilead Games 2019. All rights reserved.